Brands are driven by profit and the need to make a decent return on their investment. People are way more complex than that and a brand needs to think of their audience’s human side when telling stories. Your audience is never interested in your bottom line they want to know how you can help them as they navigate the difficulties of daily living. What is it about your brand storytelling that will help them to live a better and easier life? Every time you interact with your audience you need to remember they want to succeed in life.People want to know the basics of their life are covered from providing food and health requirements to the complexities of ensuring shelter in a global environment.Once these are achieved they think about the life style choices they aspire to. When sharing your brand story you need to think less like a profit taker and more like a person who cares and understands what your audience is going through in life. Pitch your brand story in a way that shows you relate to their struggle to succeed in life. People aspire to belong to something bigger and better than themselves. This is the reason we build all sorts of networks that bring individuals together that share a common world and community vision. When telling your brand story tap into your human side and show how your brand shares your audience’s values and view of the world. Remember a brand is just made up of a group of employees who support that brand. Tap into that resource when formulating your story. Ask your fellow workers what your brand means to them. 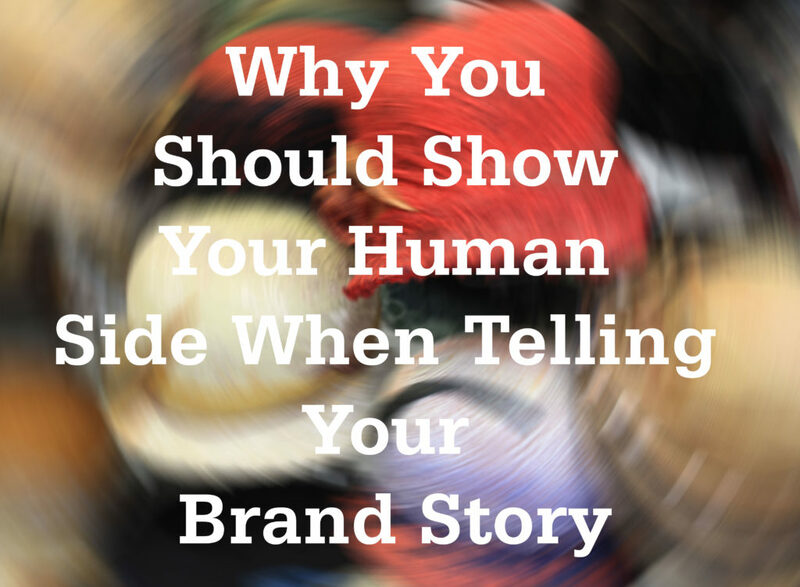 This will give you ideas how to humanize your brand story. Brands should think about your audience’s need to have a positive impact on the world around them. Once the basics of food and shelter are covered we then look around for a way to matter in the world. Storytellers can show their human side when telling a story by tapping into this very human need. Brand storytelling that shows its audience how they can have a positive impact on the world around them will resonate with their audience. Creating brand stories that show a brand’s human side is about remembering your audiences are complex individuals. People want your stories to inspire them and help them imagine living life a better way. They want your stories to match their moral view of the universe and help them to make choices that are compatible with their personal value system. They need a brand to entertain them and where appropriate appeal to their sense of humor. People want to know your brand is fun, demonstrates empathy with their viewpoints and demonstrates creativity in their storytelling. This is what shows your audience you are thinking like them and are worthy of their attention and action. Posted in Story Telling and tagged audience, audience attention, Audience Connection, brand story, brand storytelling, storytelling on April 9, 2019 by admin.